Desi Smith/Staff Photo. 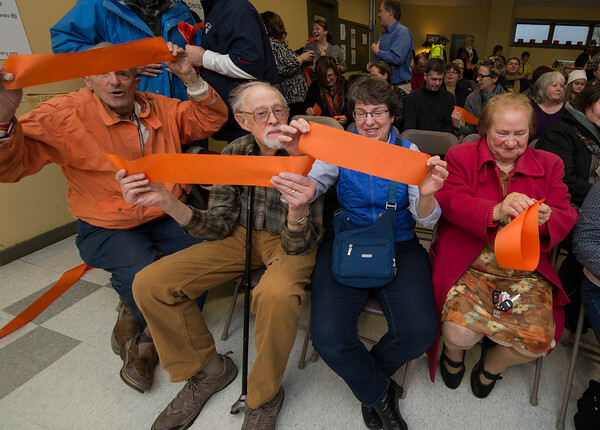 From left to right, Warren Rhodes, Peter Jenner, Carolin Catalano and Catherine Fronteiro, hold onto a piece of the ribbon that was cut by nearly 120 other people who had joined in at the ribbon cutting at The Open Door Saturday morning as it celebrates the newely expanded food pantry. January 16,2016.